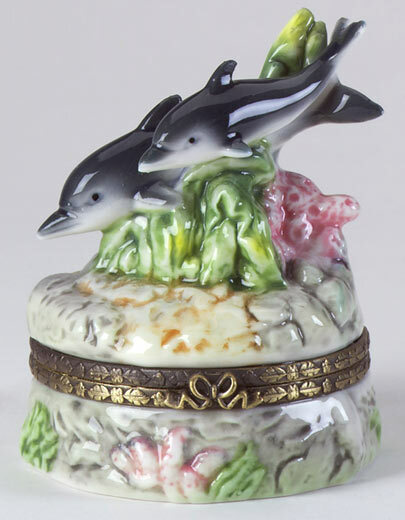 Welcome to our page of adorable trinket and hinge boxes. All trinkets and hinges boxes are porcelain. Please enjoy your visit and come again soon. 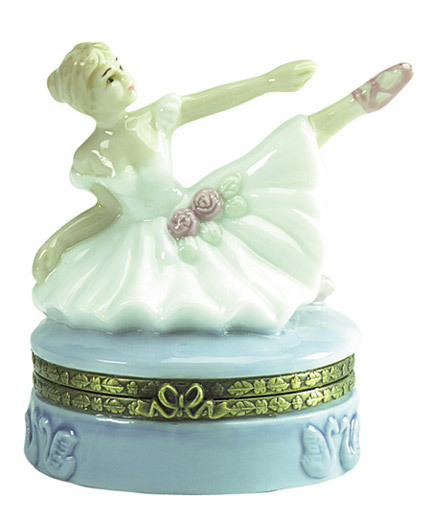 A graceful adornment to your dressing table is this windsome ballet dancer, posing elegantly on a pastel porcelain trinket box. 3 1/4" x 2 1/4" x 3" high. 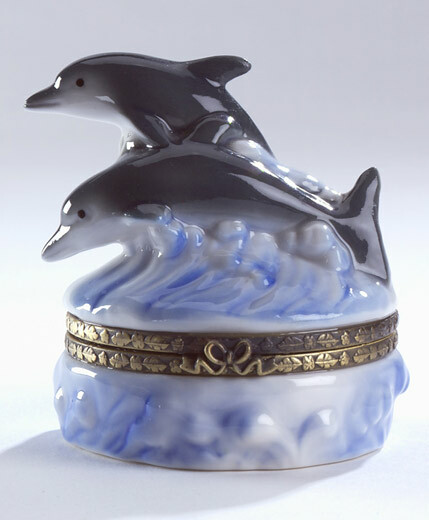 What better trinket box for your precious collection of tiny valuables than this one with its two leaping dolphins. 2 5/8" diameter x 2 5/8" high. 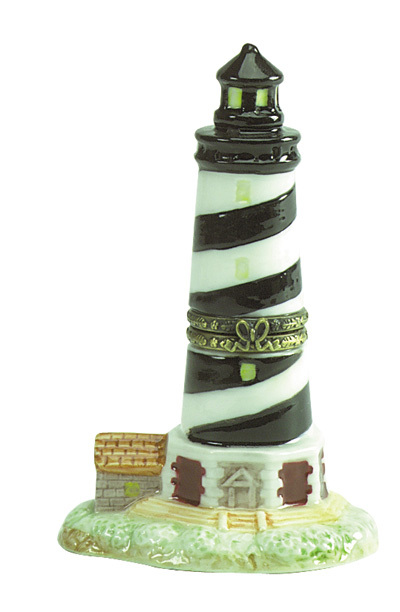 Gally striped to warn captains of dangers nearby, this lighthouse trinket box can be a refuge for your smallest collectibles. 2 1/4" x 1 7/8" x 3 7/8" high. 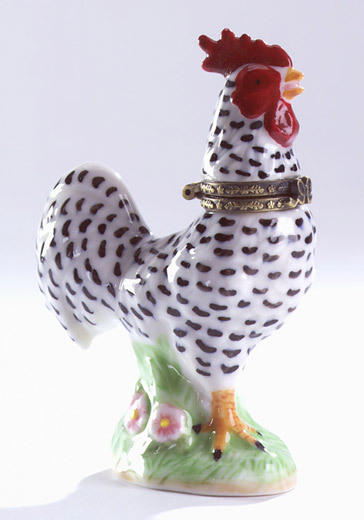 This cocky rooster rules the roost and he knows it. 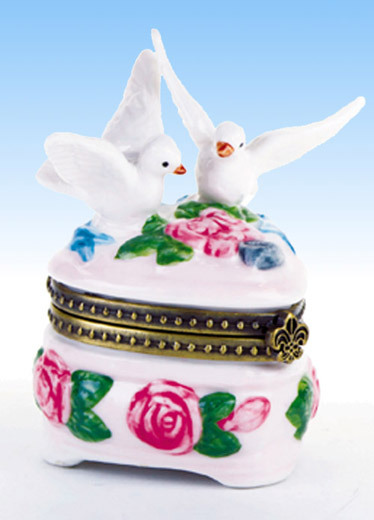 He also serves as a porcelain trinket box for miniatur objects.